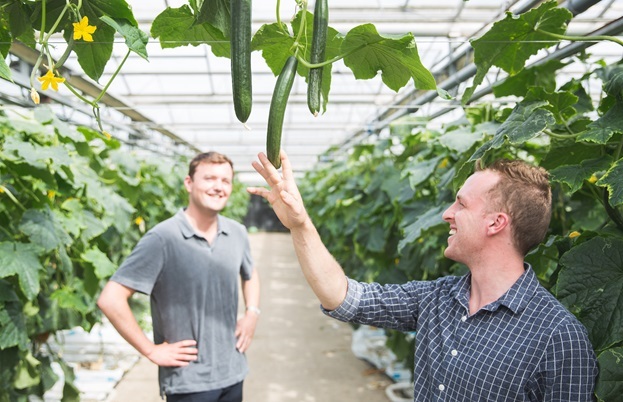 After years spent working in the soft drinks industry, Alex Wright and Jack Scott decided to use their knowledge to create something that was both healthy and tackled the issue of food waste. We caught up with them to find out more. Food waste has always been a huge issue in restaurant kitchens, supermarkets and homes. While it’s always been in the back of people’s minds, recently there’s been a real surge of interest in how chefs, charities and producers are tackling the problem. It’s now become a badge of honour for brands and cooks to take perfectly edible ingredients that are destined for the bin and turn them into something people want. Dash Water is one of those brands. A new company, they sell cans of carbonated spring water infused with wonky fruit and veg. It comes in two flavours – lemon (with a touch of lemongrass thrown in to keep it interesting) and cucumber, which offers something a little bit different. 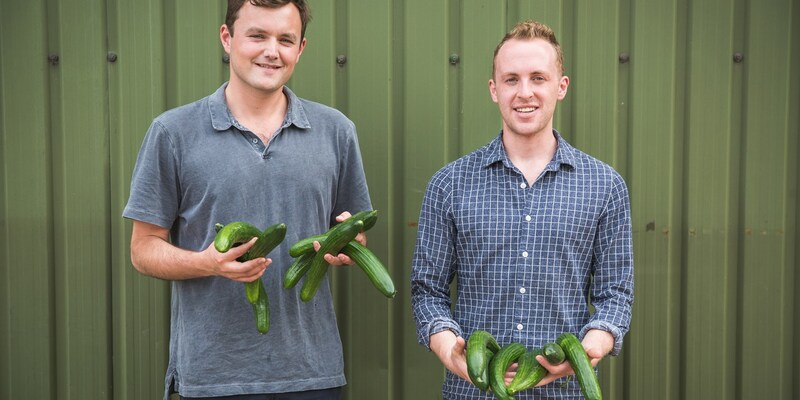 Founders Alex Wright and Jack Scott work with charities such as Feedback, British farmers and food suppliers to take produce that’s too ugly, wonky or misshapen to go to the shops. Instead of being thrown in the bin, they use it to infuse flavour into their drinks. Find out more about Dash Water and how Alex and Jack tackle food waste by listening to them on The FoodTalk Show Podcast. After a Dragon’s Den-style meeting with Virgin StartUp, Alex and Jack were given a small loan and a mentor who taught them all the practical skills needed to set up a brand and business. The next step was actually working out how to create a carbonated, canned soft drink that had the same taste as water infused at home without any extra additives or flavourings. 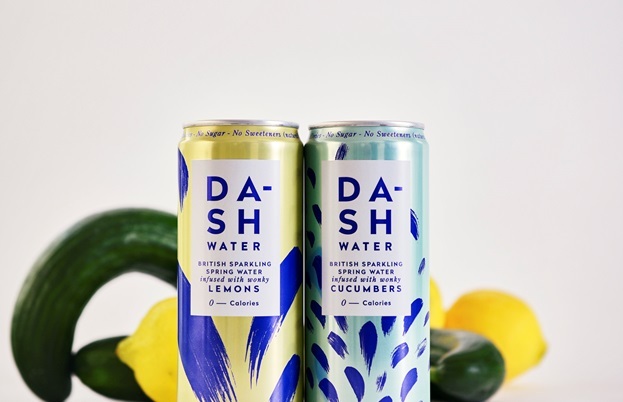 Dash Water officially launched two months ago, after Alex and Jack secured a listing with Selfridges. Today, the cans are sold in around 150 shops across London, including places like Planet Organic and Daylesford Farm Shops. They’re sticking with just the two ingredients for now, but the plan is to start incorporating as much surplus produce from British farmers as possible, creating new, seasonally-led flavours. For health-conscious foodies who are strapped for time, Dash certainly fits the bill.